The road goes ever on and on, down from the door where it began…. Oh hi there! Were you interested in going on an adventure with us? 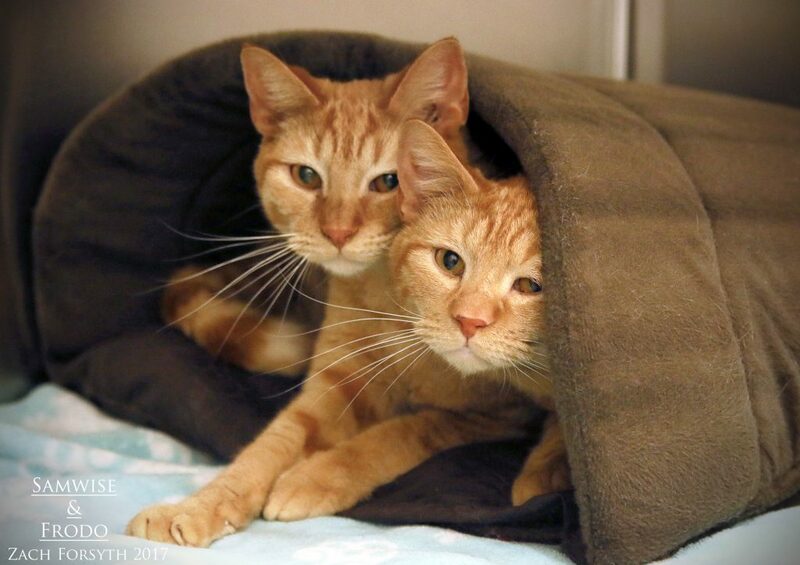 We are two orange tabby brothers who are just under a year old looking for a Shire of our own to settle down in. We are extremely sweet and social boys who are playful and adventurous — just like our names suggest! While we might be just a tad shy when you first come to see us, it only takes a minute to bring us out of our shells and the next thing you know, we’ll be rubbing up against you, hopping up in your lap, or looking for a toy to chase! We grew up around lots of other cats and are very, very sweet. We are pretty bonded and would love to go home together — but at the very least, both of us would definitely benefit from another young social cat in the home. We love other friendly felines just as much as we love people! Are you on a journey to find your best friends? Come down to Pixie to meet us today! We come to you vaccinated, fixed, and micro-chipped for an adoption fee of $100 each (or $180 for the pair).